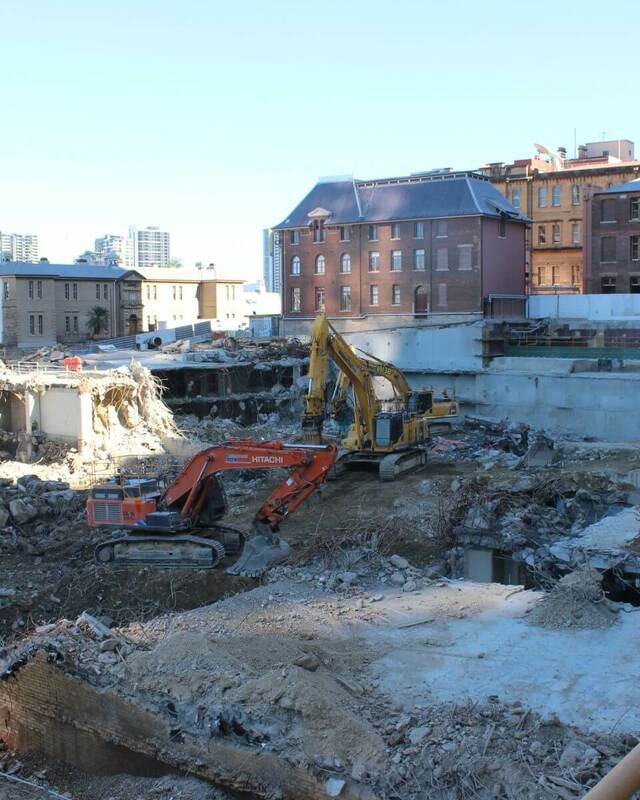 Excavation and shoring work being undertaken on Queensland’s largest CBD basement is progressing well with approximately 15 per cent of the material now removed. As of the end of July, Probuild is half-way through construction of the 172-metre long diaphragm wall along the southern riverfront section of the site. This work is expected to be completed on schedule, by the end of August. Steady progress elsewhere on site includes excavation and anchoring of the basement retention wall and the demolition of the former Executive and Annexe building basements. The northern section of the site is now approximately eight metres below George Street, and has up to another 20 metres in depth to go. Probuild expects to complete the excavation of the basement in the second-half of 2019. The basement will be built to include hundreds of car parks across five levels and will also incorporate back of house hotel facilities.